Today was a great day because I went to my first entrepreneurship and fair trade class and I am so excited about the way it is run and the hands-on work we will do during the semester. I especially like the fact that we will be working to actually make a difference and communicating with artisans and fair trade organizations rather than just sitting in a classroom. I have a feeling this might be the first class in my college class that I am genuinely going to look forward to every week...woop! Leaving for West Virginia tomorrow with the team for a tournament this weekend, so life is hectic as usual. 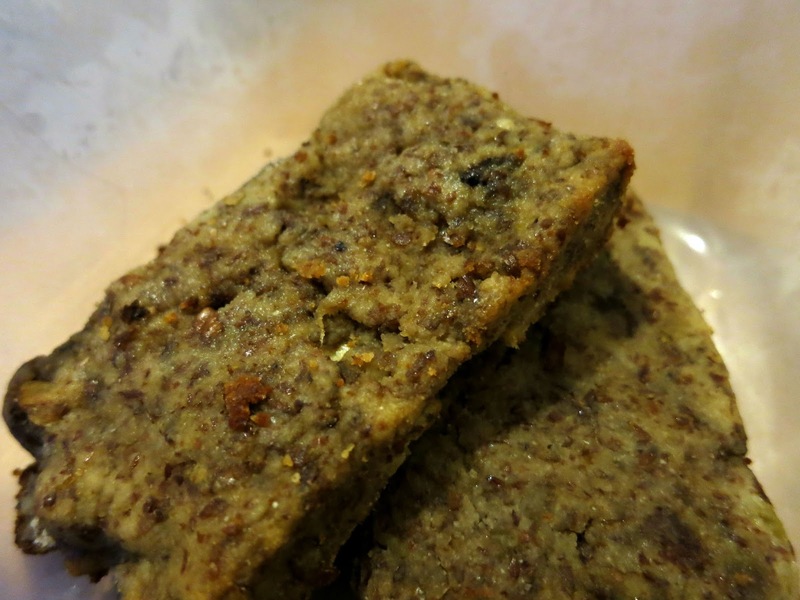 Looking forward to posting my first oats roundup in a while though, because there have been some pretty great varieties lately :-) In the meantime, I'd like to share a great protein bar recipe that I came up with last week. These are baked, but I am working on a second version that is no-bake. Hopefully I will have time to make some tomorrow in between classes before the trip. Directions: Preheat oven to 325 degrees. Mix all ingredients well in a medium bowl. Knead the dough, and then spread onto a greased cookie sheet into a rectangular shape. Try your best to cut into even protein bar-shaped rectangles, and then stick into the oven for about 15-20 minutes or until firm. Enjoy as always, and please follow!